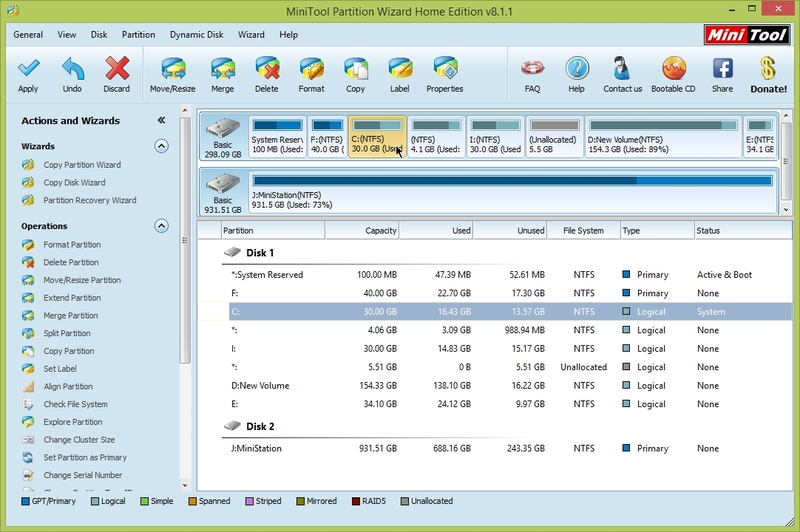 Free partition solution and disk management utility allows you to extend partition, especially for system drive, settle low disk space problem, manage disk space easily on MBR and GUID partition table (GPT) disk. 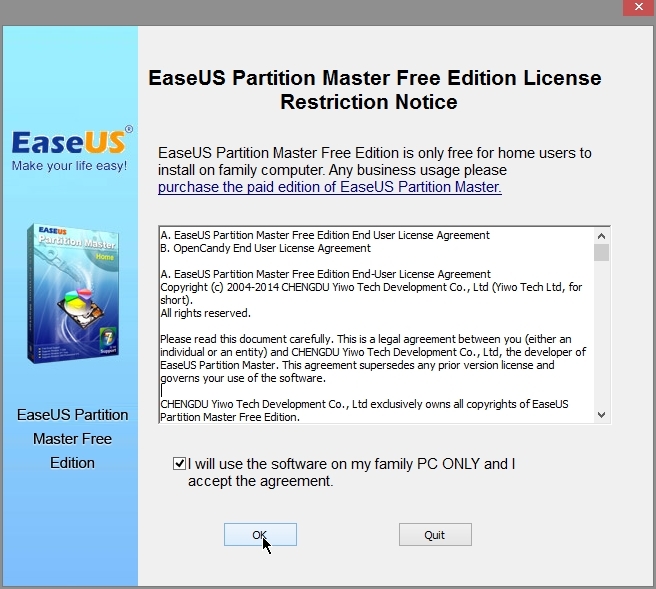 Easeus free version has all the features that most of the users will require. 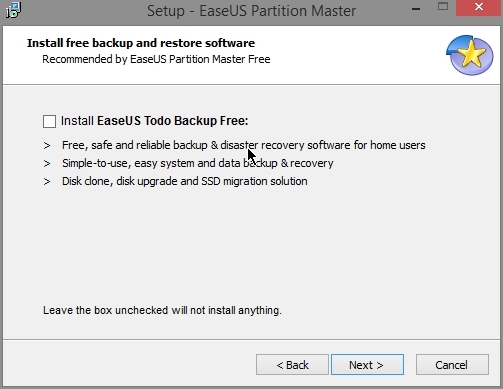 Easeus has included soem extra softwares that you don’t need to install. You don’t need to fill in the name and email. Here you can see various operations that can be done. Here you can reduce/expand the size of a partion. 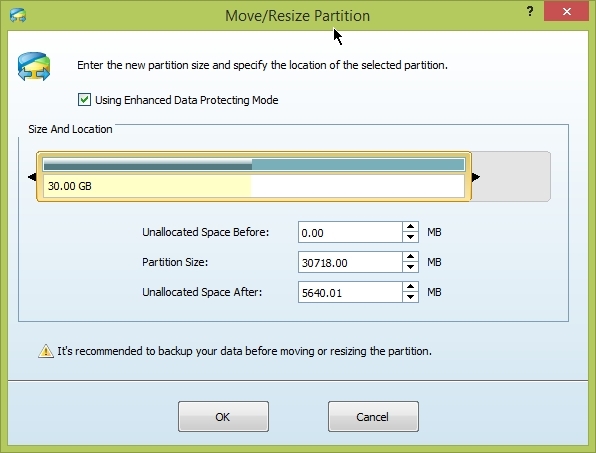 Now you see the reduced and moved partition. I am just demonstrating here. By now resize and move partition has not actually happened in disk. You can see “Pending Opreations” at lower left corner showing that resize/move partition is still pending. You can still “Undo” at this time. 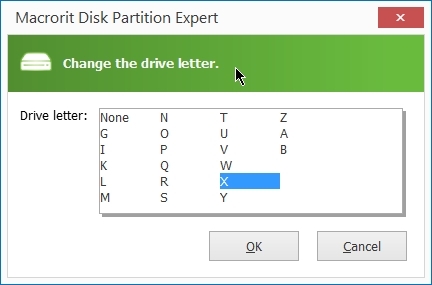 To apply the changed on disk you need to click “Apply” at upper left corner. After apply has been clicked you cannot undo any operation. Sometimes you need to restart your computer to apply changes. 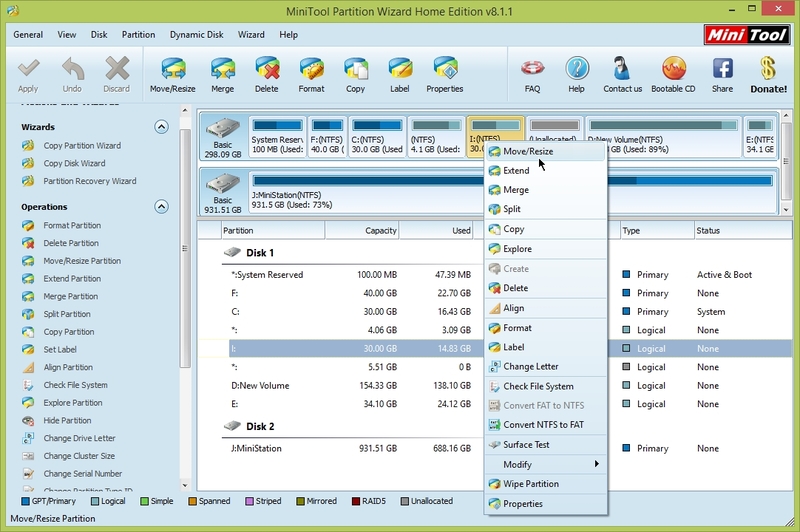 Merge C: partition with 4 GB partition. 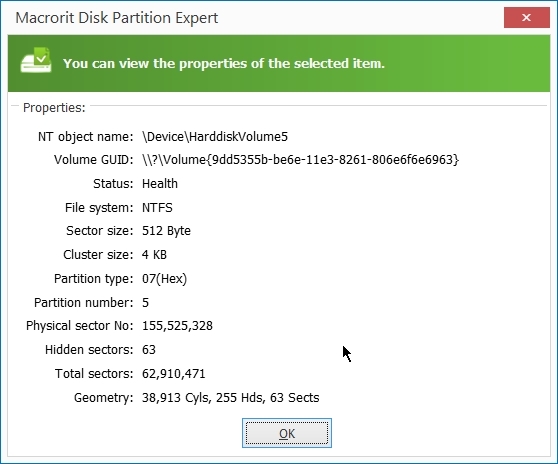 C: partition merged and now it has size of 34 GB approx. Hide a partition so that it cannot be seen by file explorer. 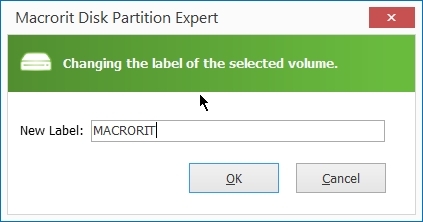 Partition deleted. 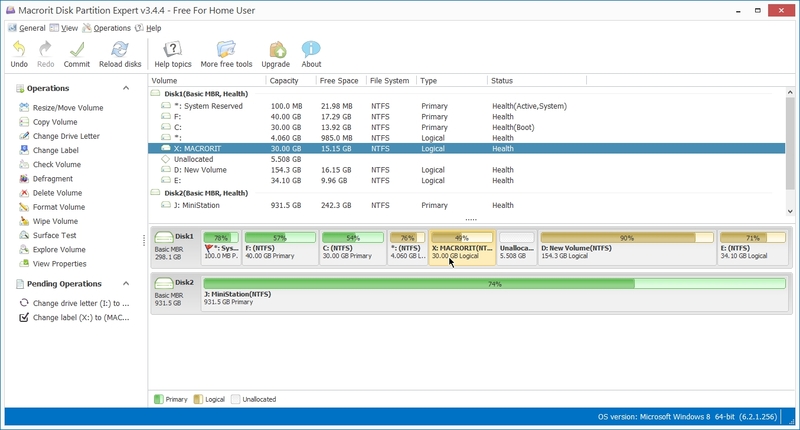 Now we have 30.11 GB unallocated space. 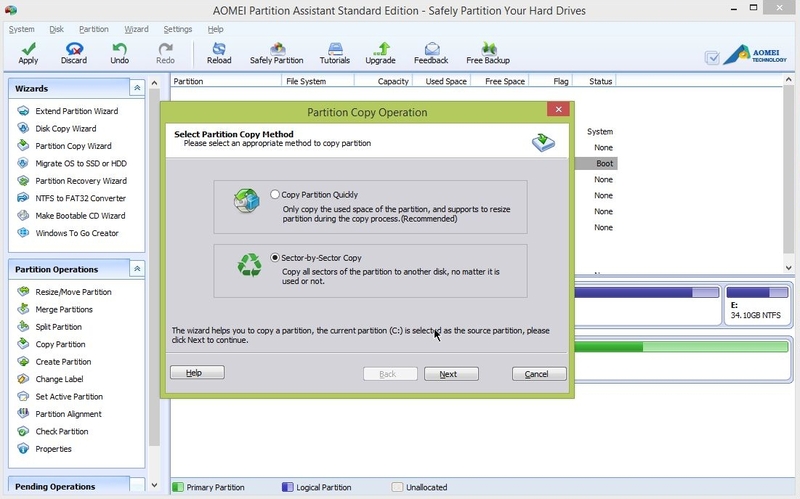 Copy partition will copy all the content of a partition. 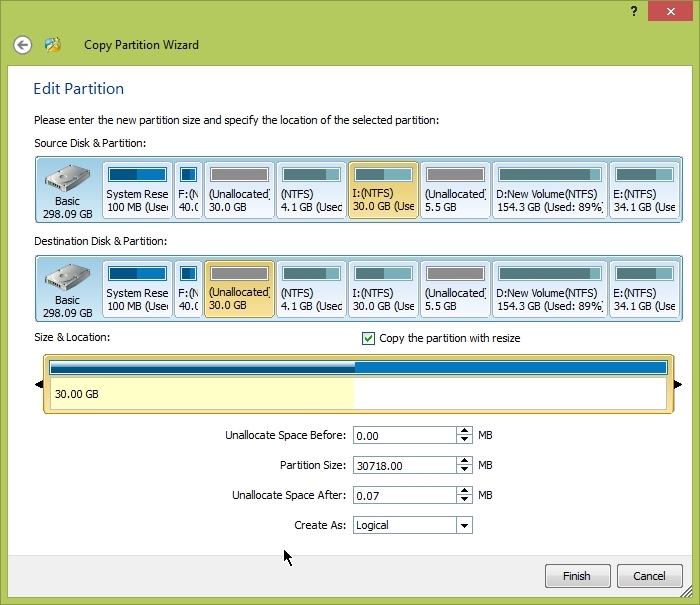 Here i will copy C: partition which is of size 30 GB to unallocated space which also have a size of 30 GB. 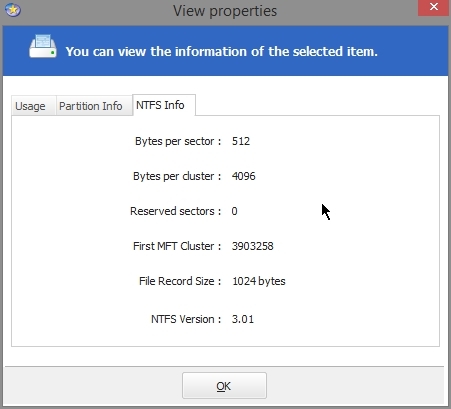 The destination where C: partition will be copied is 30 GB unallocated space. You can do some settings. 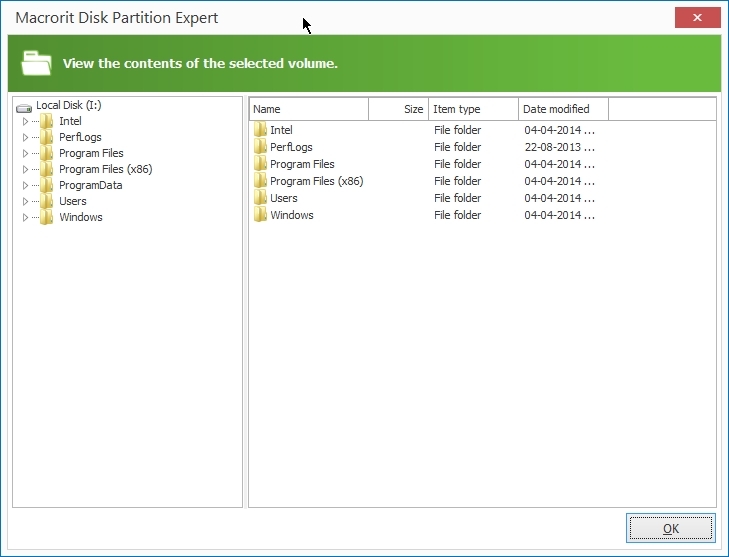 C: partition copied to G: partition. 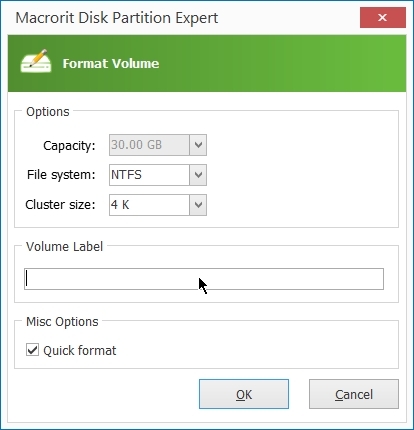 Specify partition label, file system. Wipe partition which will delete all the data in a partition so that data cannot be recovered. G: partition wiped. Now we have 30.11 GB unallocated space. 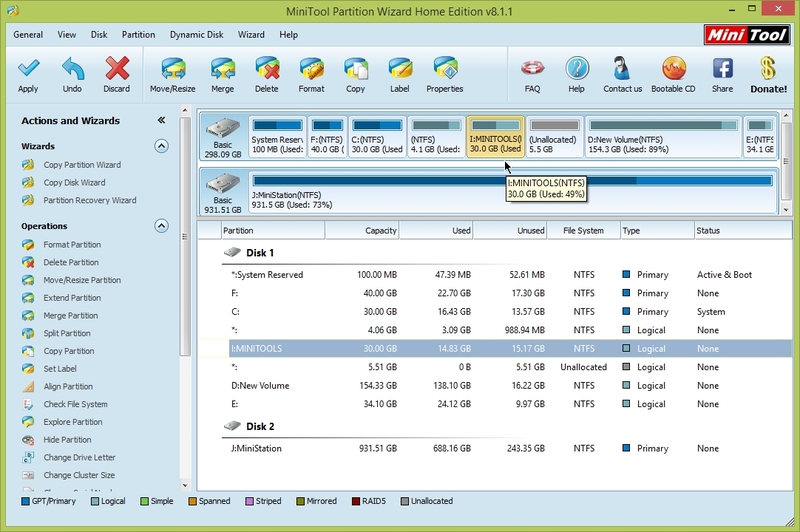 Home users can perform complicated partition operations by using this powerful yet free partition manager to manage their hard disk. 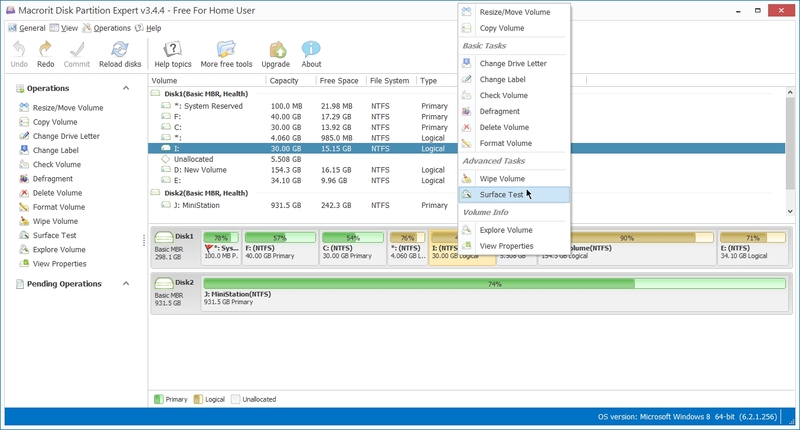 Functions include: Resizing partitions, Copying partitions, Create partition, Extend Partition, Split Partition, Delete partition, Format partition, Convert partition, Explore partition, Hide partition, Change drive letter, Set active partition, Partition Recovery. It has all the features that most users will need. 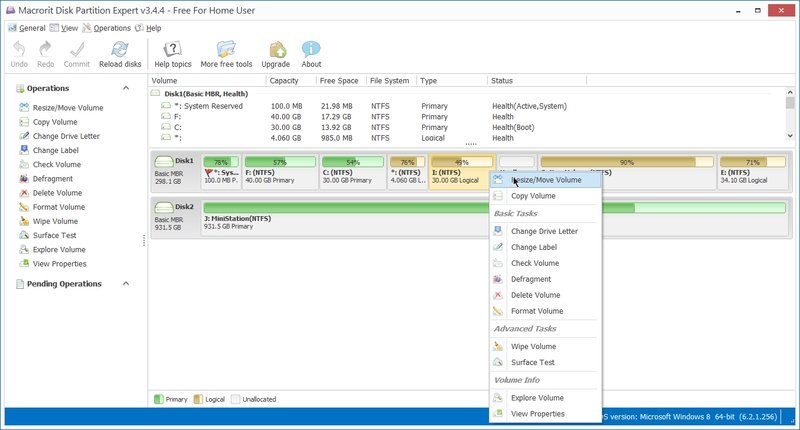 Hard Disk Copy: Copy an entire disk to a different diskquickly and easily with data clone technology. 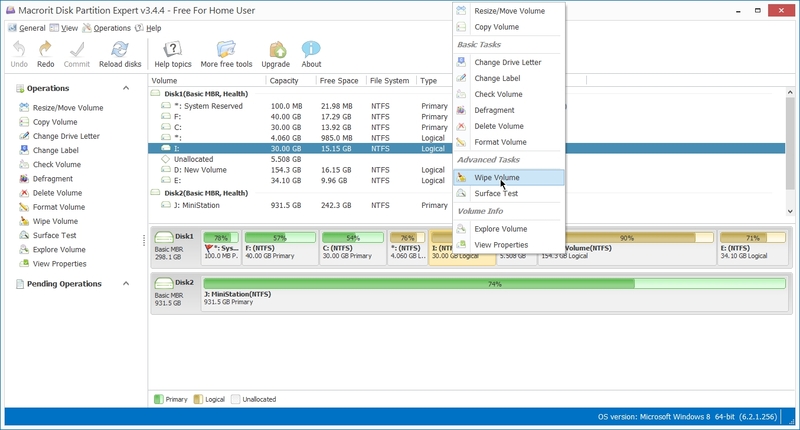 Backup disk data without data loss. 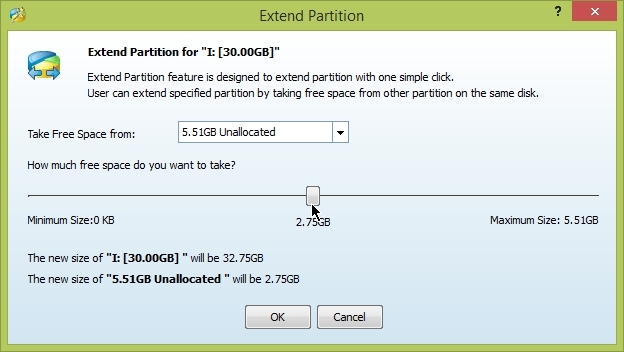 Extend a partition. Its similar to expand apartition. 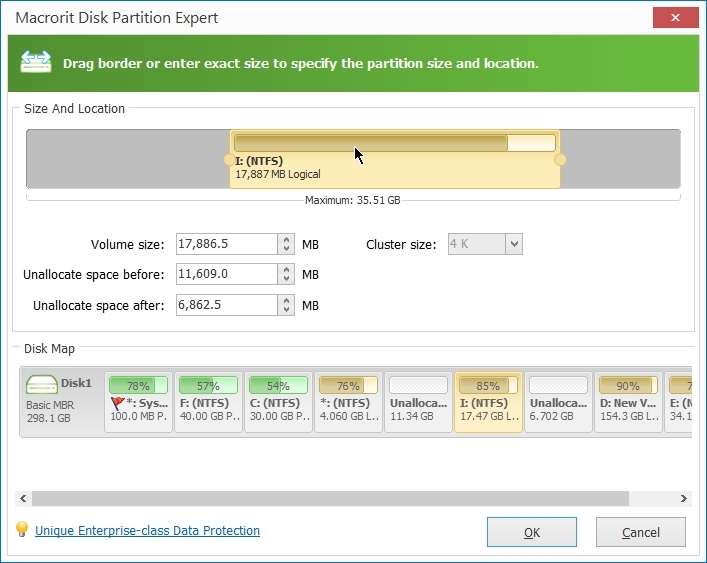 To be able to extend a partition you need unallocated space. 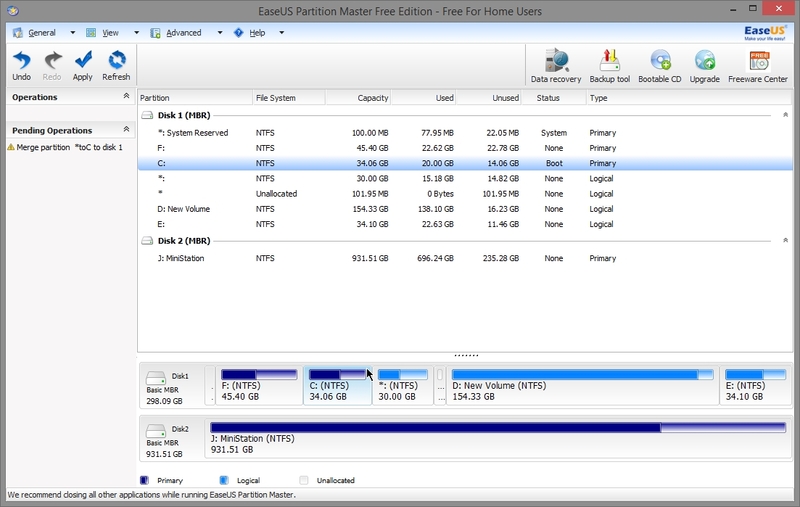 Here we have 5.51 GB after I: partition. I: partition extended . Now it has size of 35.5 GB. 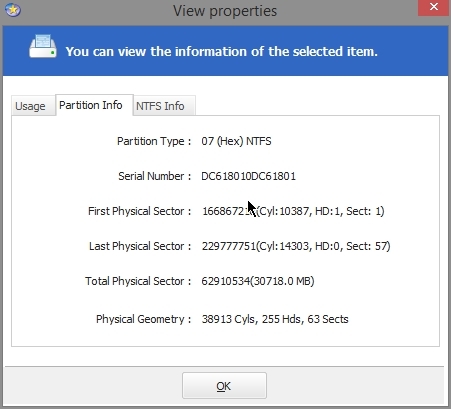 Partition C: deleted . Now we have 30 GB unallocated space. 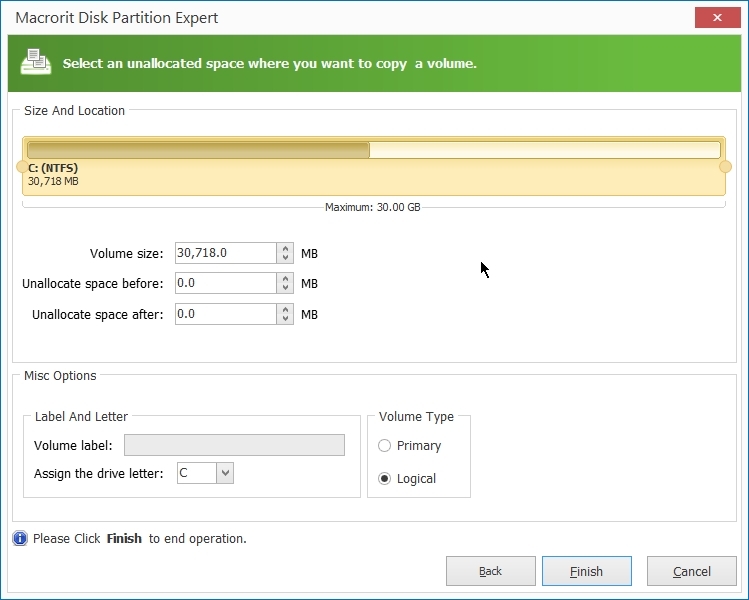 To be able to copy a partition you need to have unallocated space of equal or more space than the partition you want to copy. 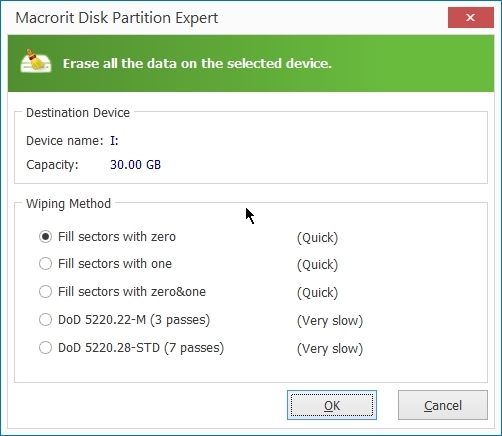 Select where you want to copy the partition. 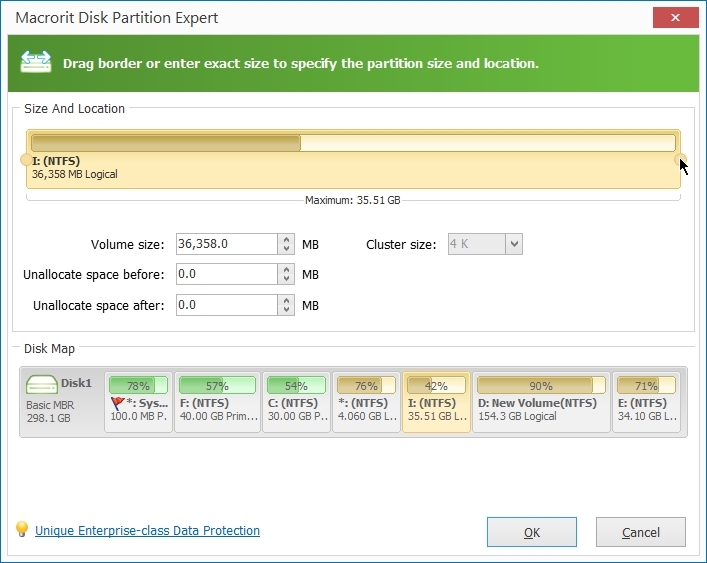 Set partition as primary or logical. 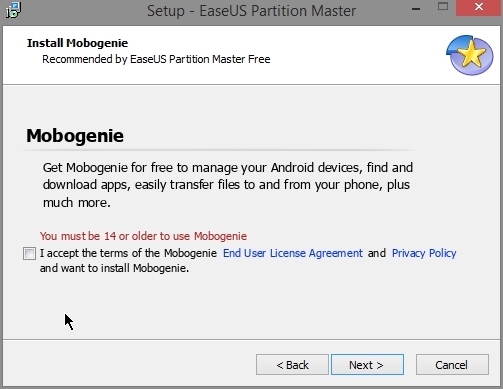 C: partition converted to logical. You can also do operation on while disk. More feature could have been added to free version. 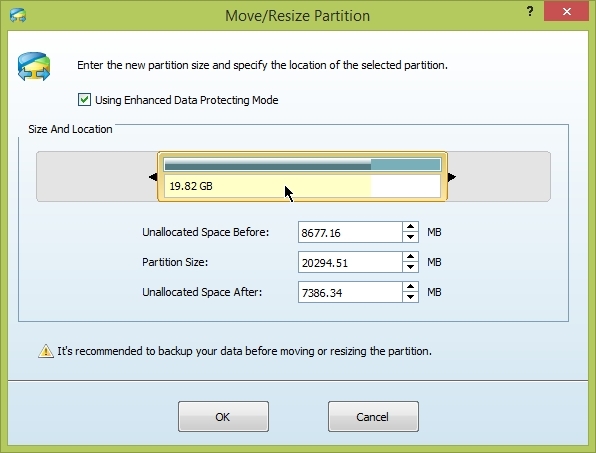 Resize system/data partition: extend/enlarge, shrink and move partition without data losing. 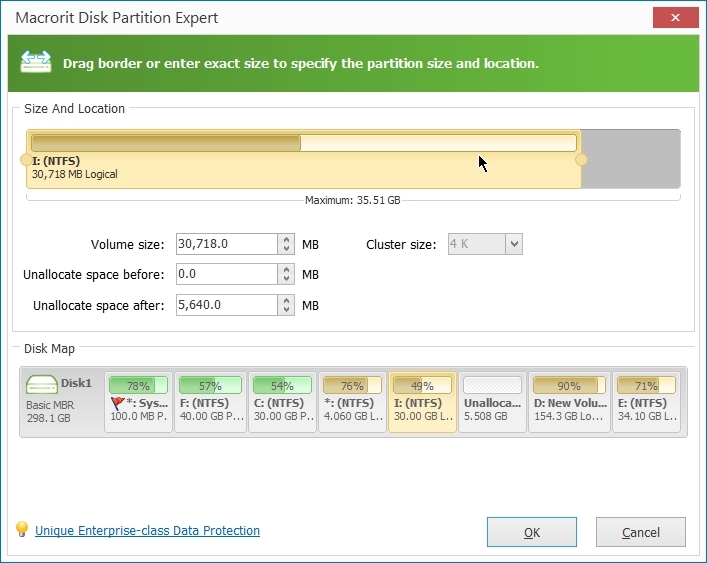 Create partitions: resolve the problems of creating partition in built-in Disk Management. 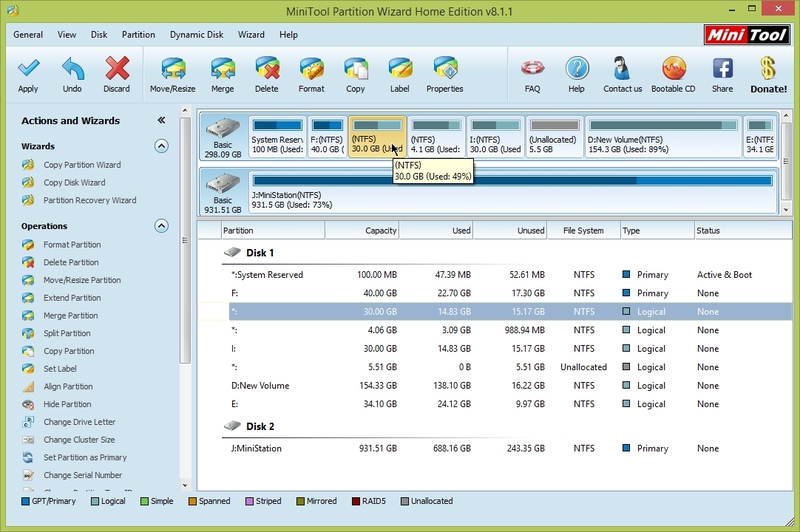 It allows freely create logical, primary partition with more advanced settings. 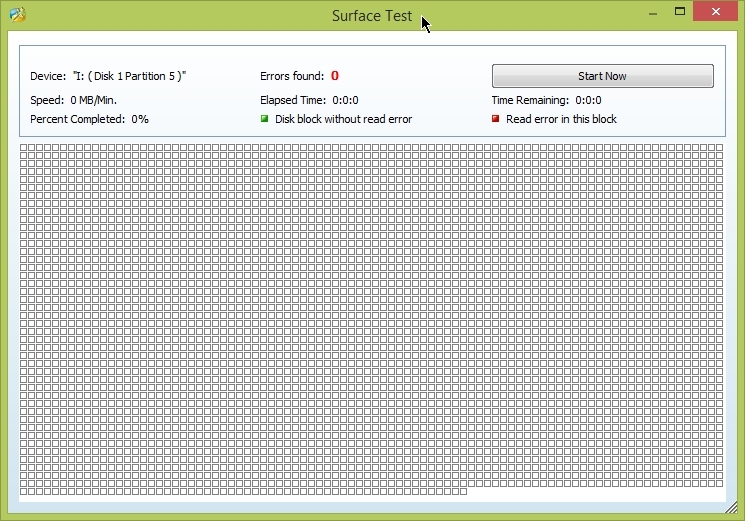 Partition surface test: scan the partition (Choose scan area) to check the bad sectors and locate the back sectors. 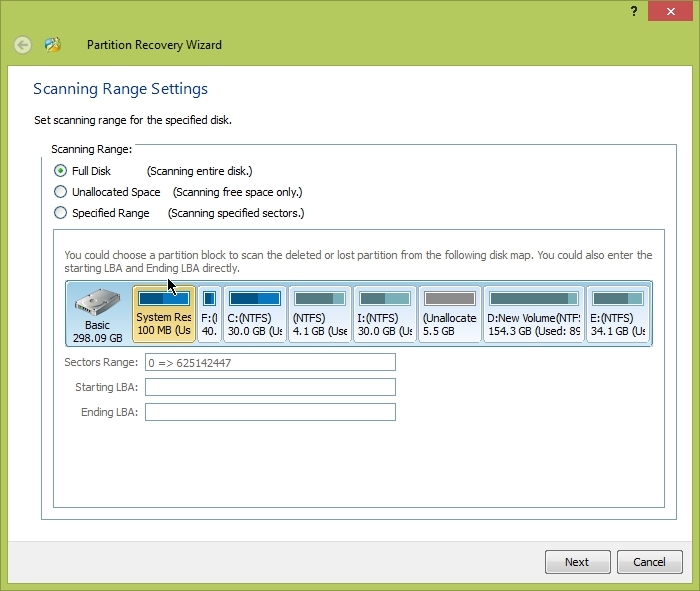 Defrag partition: advanced disk defrag engine can maximum hard drive performance. 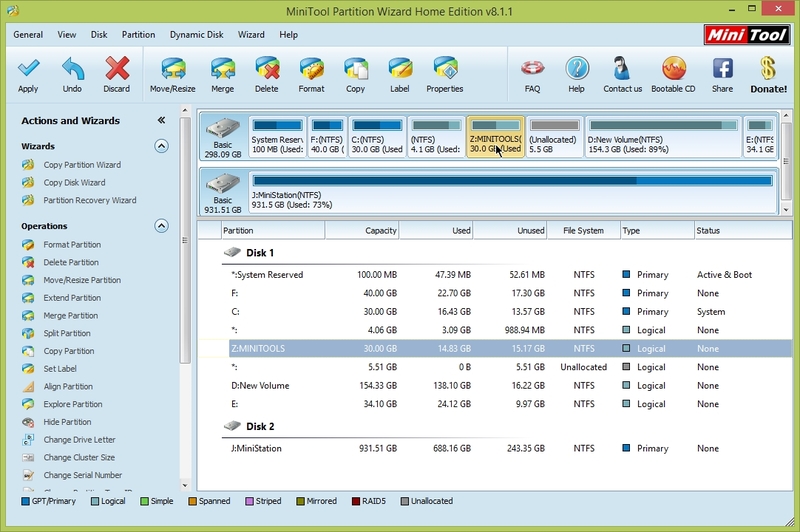 Wipe partition: permanently wipe the data on the target partition and prevent from recovering by any data recovery tool. 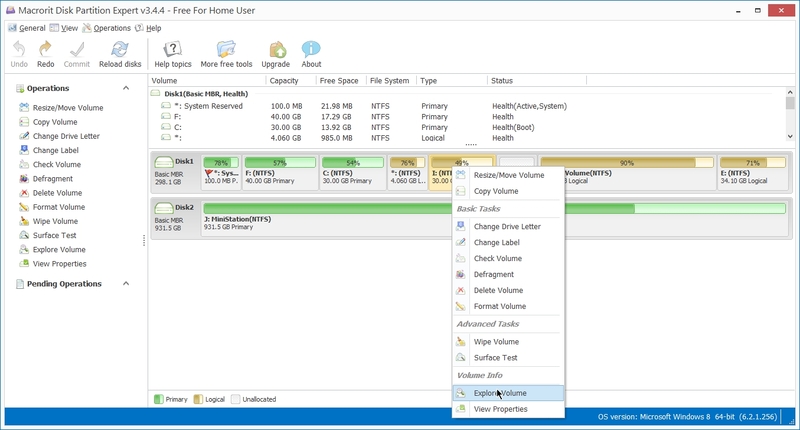 Other features: Set Active, Hide/Unhide, Change Label, Change Drive Letter, Explore, View Props, Check partitions. 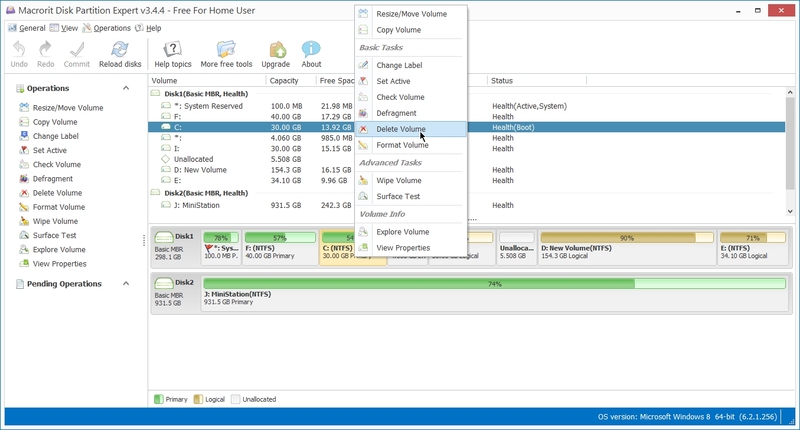 Delete all partitions, offline/online, read-only/writable, wipe, clean up, view props and surface test. 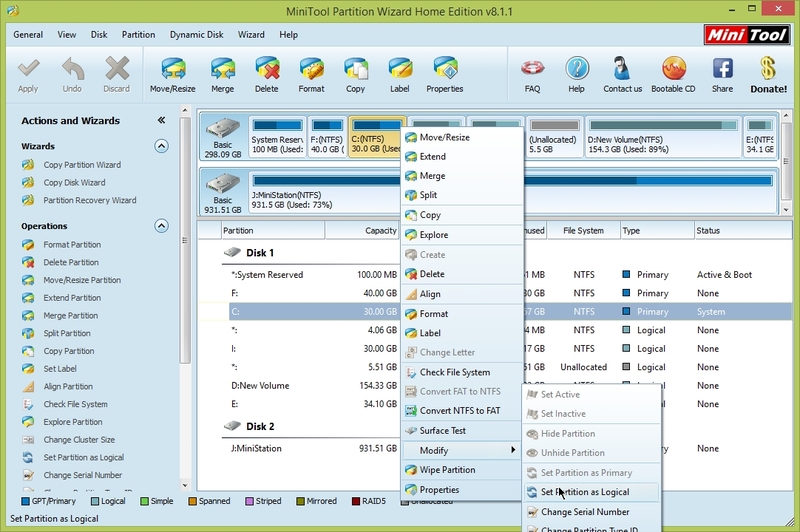 Extend system partition without REBOOT for Windows Vista and later OSs. 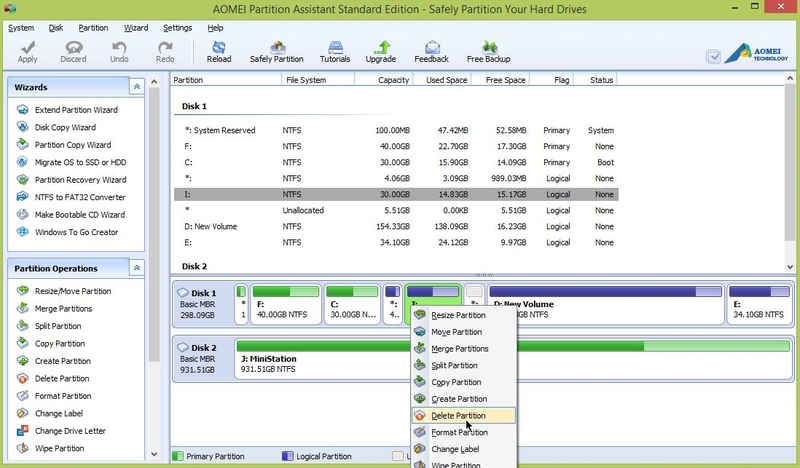 Align partition: improve the speed of disk on reading and writing data, especially for SSD. Added Core.api. Bugs fixed in previous version: including 0x00004642 error code; ERR_EXTEND_VOLUME, etc. To expand a partition there must be unallocated space either before or after that partition. 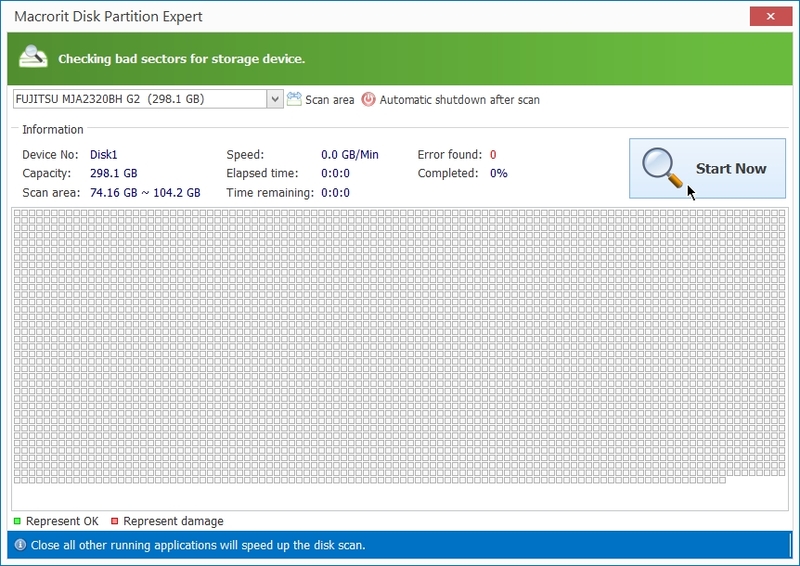 C: partition deleted and we get unallocated space. 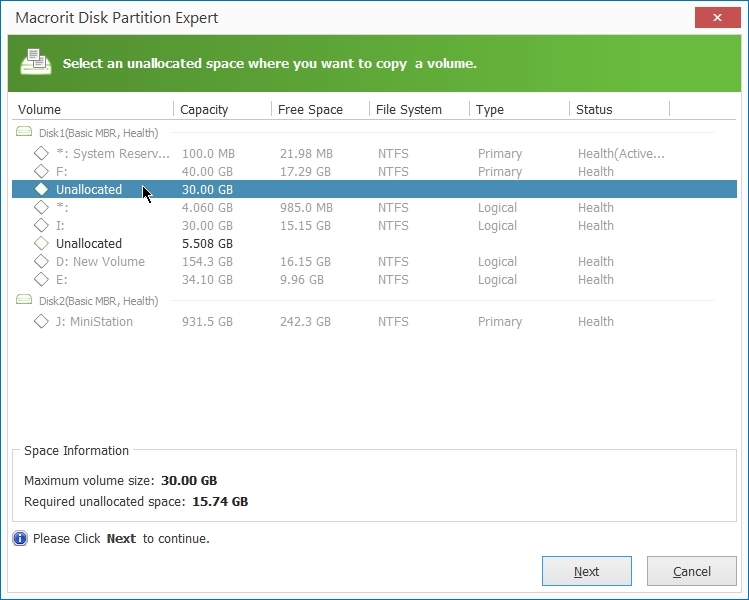 Copy I : partition to unallocated space. 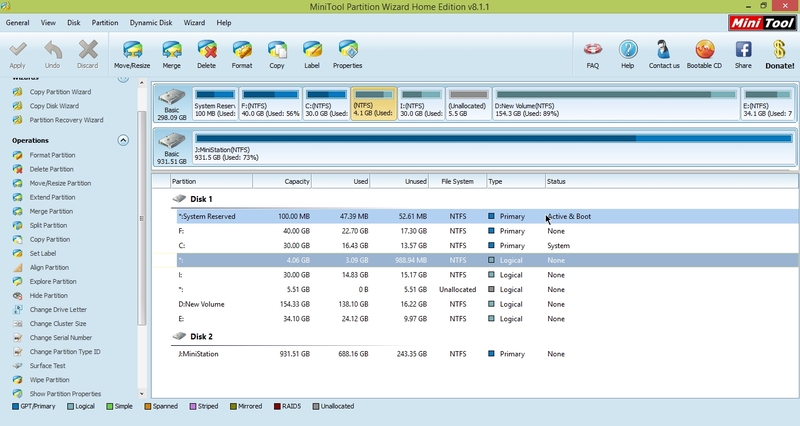 Notice the size of I: partition and unallocated space. Both are of size 30 GB. 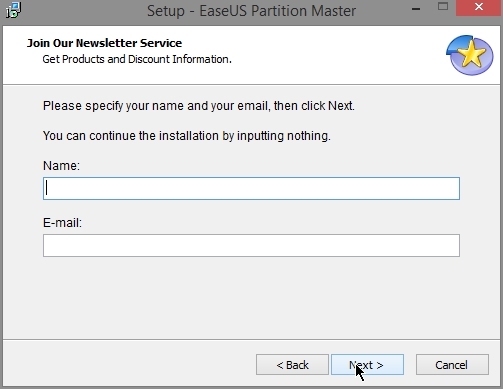 Now we have expact copy of I: partition in C: partition. 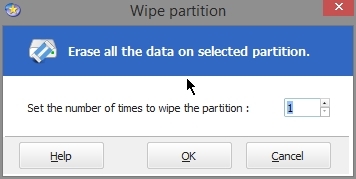 Wiping a partition will earse all the content of that partition. 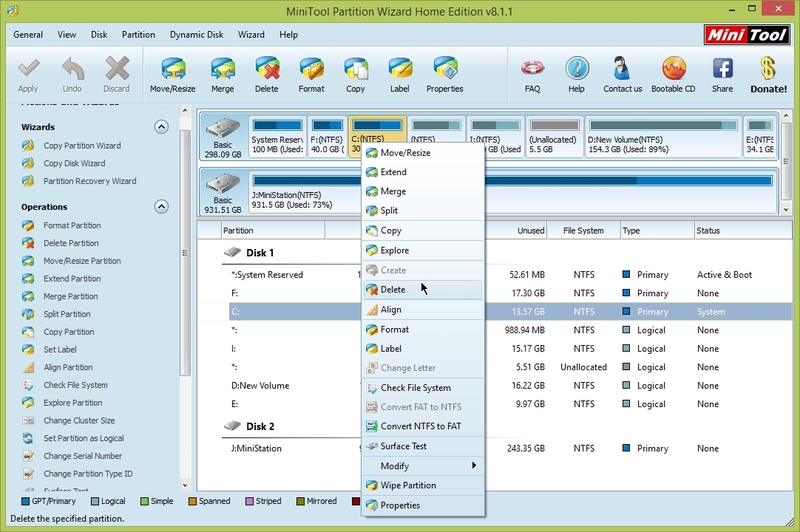 After wiping out no files can be recovered in that partition. 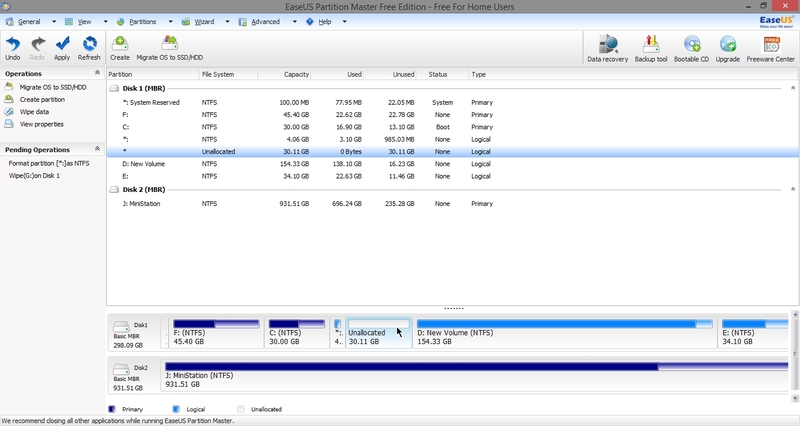 Also notice that after I: drive there is unallocated 5.5 GB . 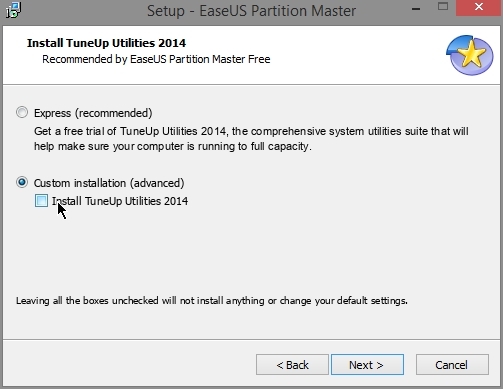 Once you click “resize partition” this window opens up. 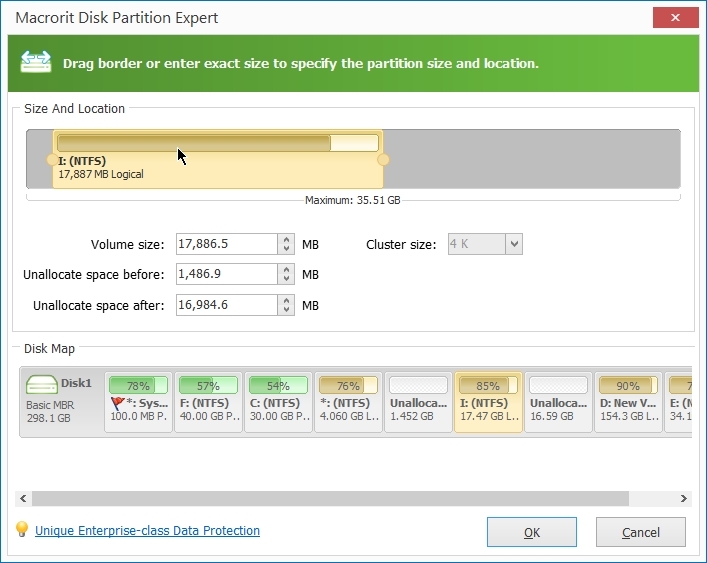 You can shrink the partion size or expand it if there is unallocated free space is availabe either before or after the partition. You can use the slider to shrink the size of partion as shown below. 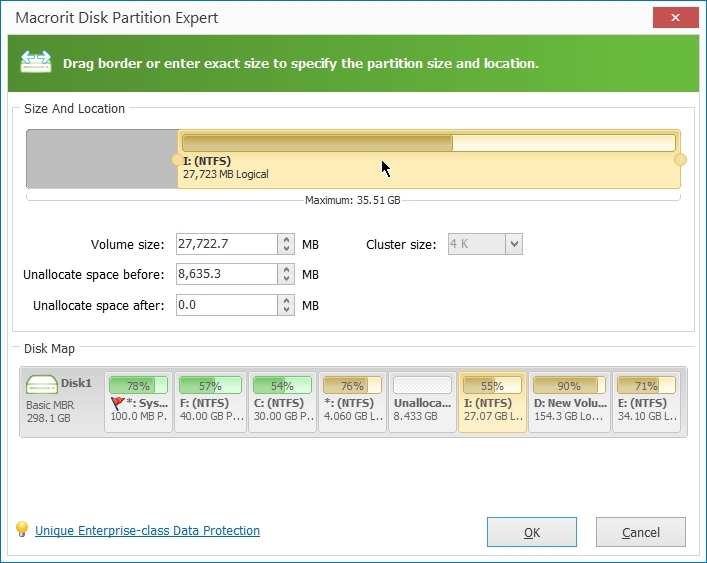 You can expand the size of partition to occupy unallocated space. 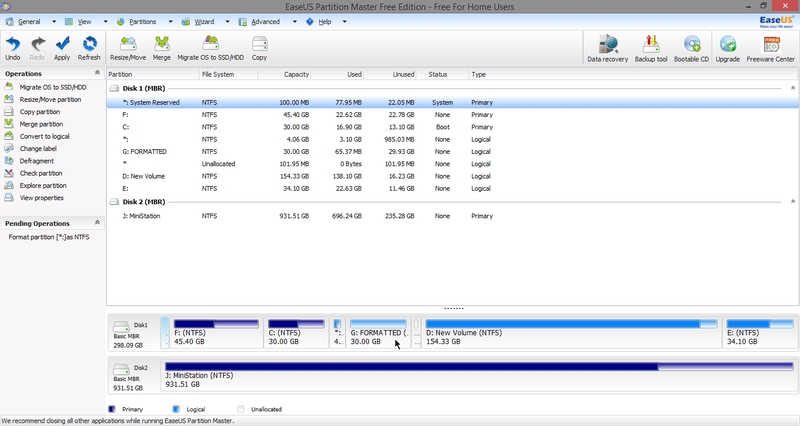 Now you can see below that I: drive size has increased to 35.5 GB. 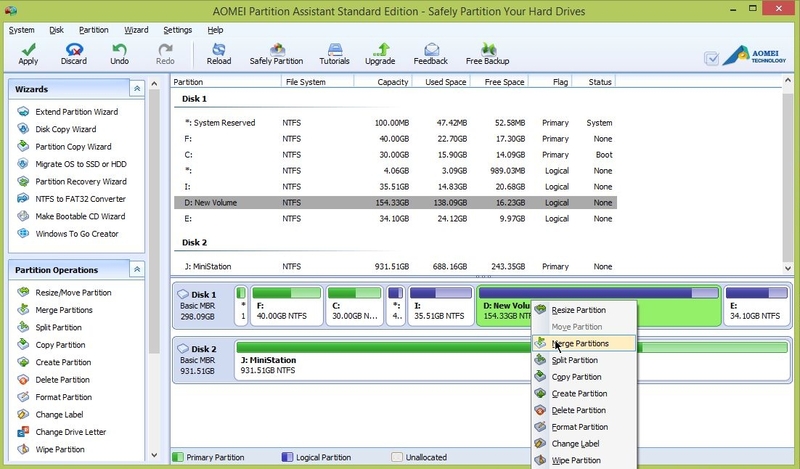 By now AOMEI has not done any actual change in hard disk. To apply the change you need to click “Apply” at top-left. 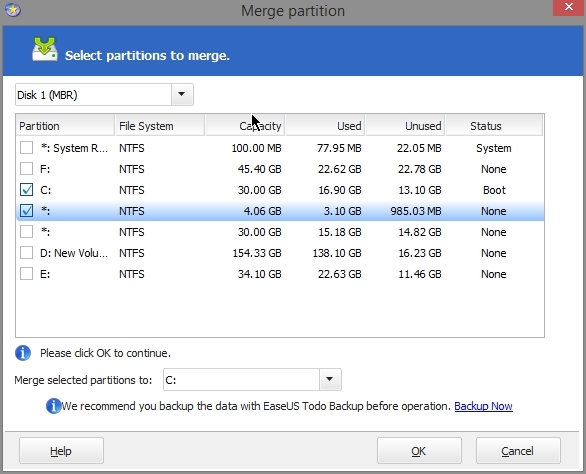 Merge partition used to merge two partition. Files in two partition will merged into one partition. 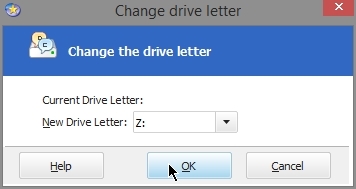 Tick on the two drive that you want to merge. Below you can see that the D: and E: has been merged into D: drive. 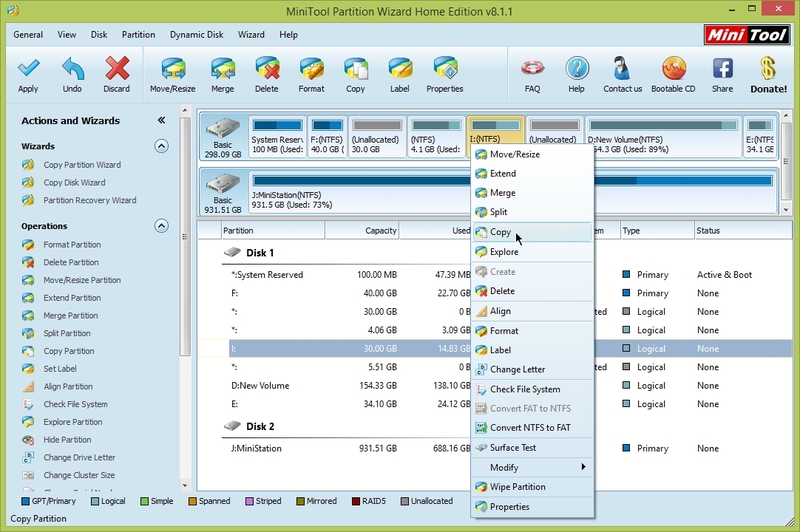 Split partition is used to split one partition into two partitions. 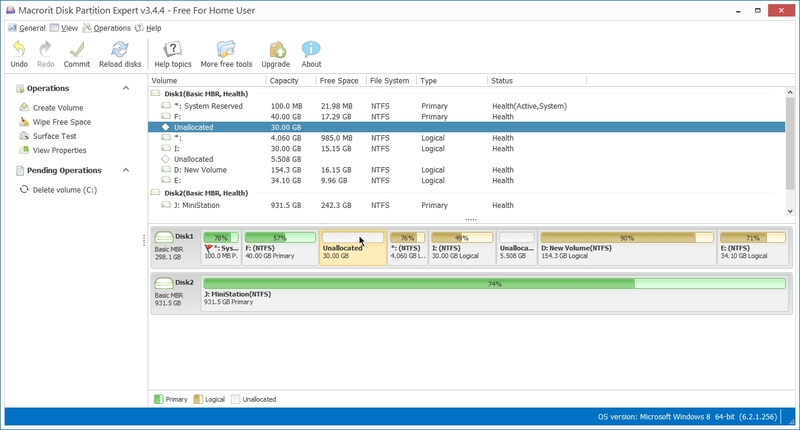 Delete partition used to delete partition so that you get unallocated space. Here i deleted I: partition. 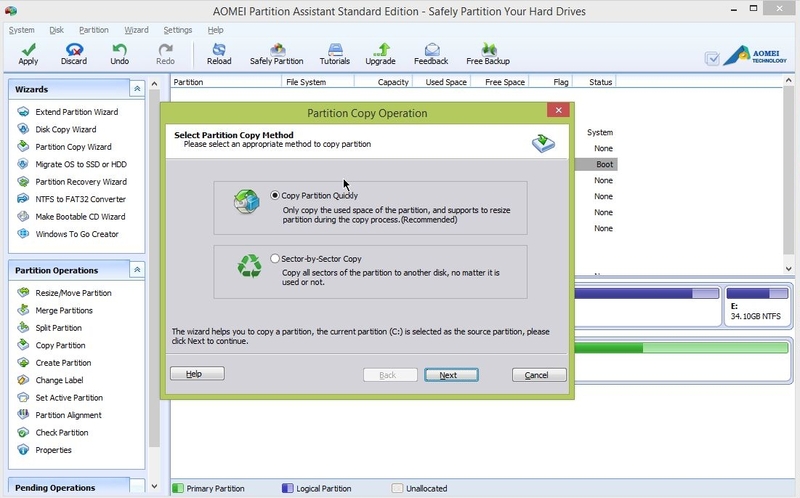 Copy partition is used to copy all the files in a partition to another location. 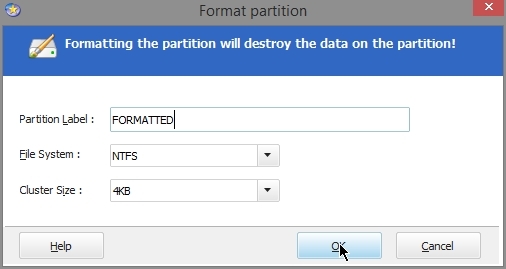 Here i will copy C: partition. 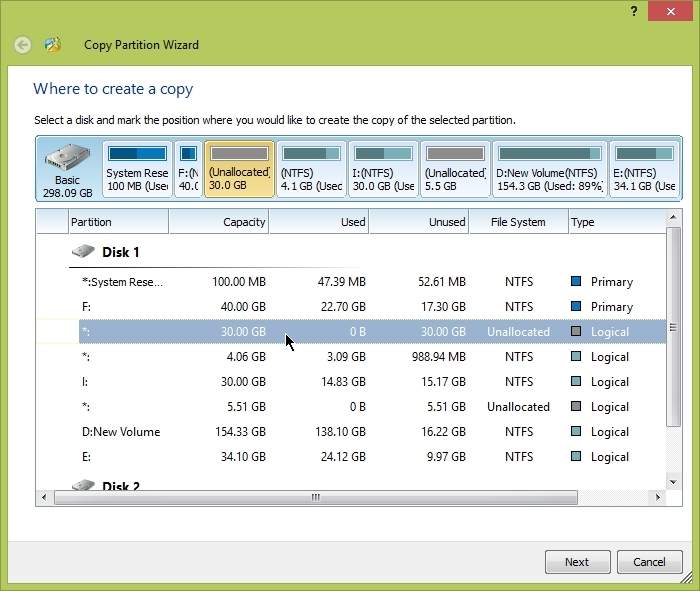 Two methods of copy partition. I will do sector-by-sector copy . Since C: partition is of 30 GB size. So there will be required 30 GB or more unallocated space where this C: partition will be copied. 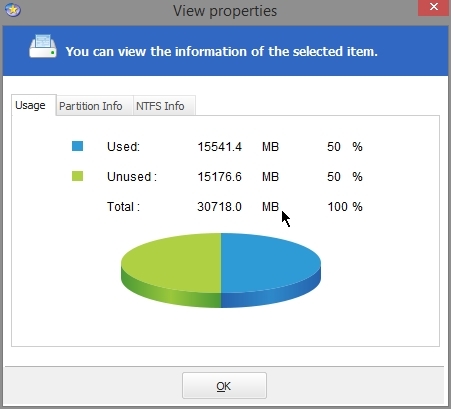 Next i choose 35.51 GB unallocated space where C: partion of size 30 GB will be copied. 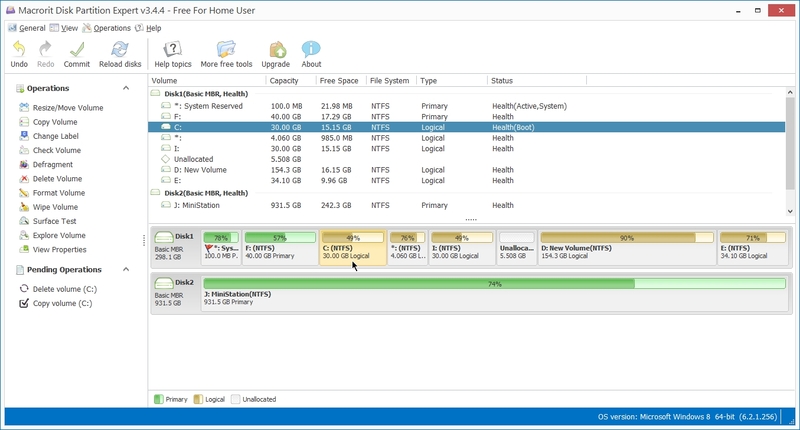 Out of 35.51 GB new G: partition will occupy 30 GB and 5.5 GB unallocated space is left. Below you can see C: ( 30 GB ) copied to sector-by-sector to G: ( 30 GB). 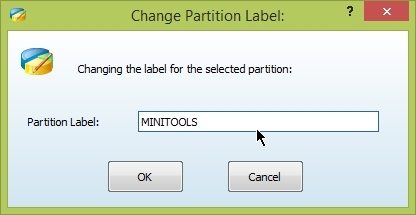 Change label of a partition. 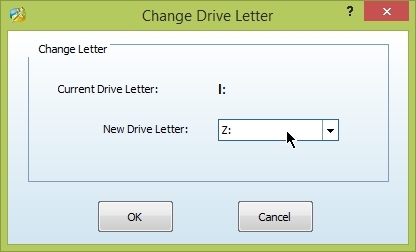 Change drive letter of a partition. 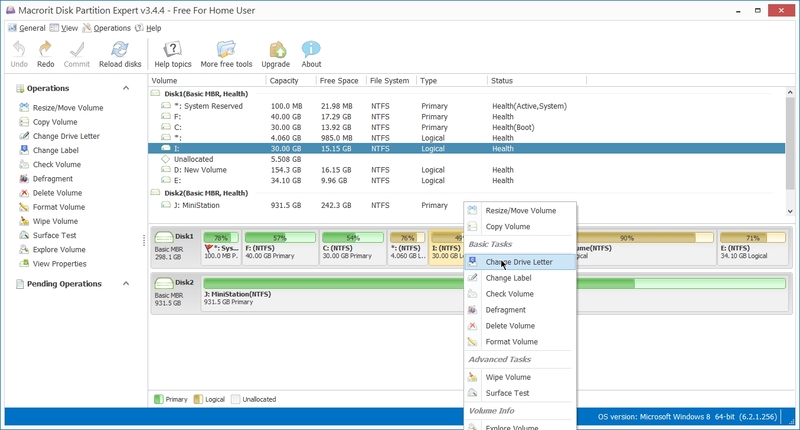 Click “Apply” to apply changes to the disk.